I find that when I buy off-the-rack I can either have a shirt that I can comfortably wear a tie with, which fits like a garbage bag, or I can get one that fits through my chest and waist but would choke me to death if I tried to button the top button. I recently became interested in fixing that problem, so I did some research on cost-effective ways to get better fitting shirts. My search led me to several online tailors, offering made-to-measure clothing in varying degrees of customizability for good prices. You choose a fabric, buttons, and other details and end up with a shirt to your exact specifications for less than Banana Republic charges for off-the-shelf shirts ($80). I purchased a test shirt from Modern Tailor recently. The measurements required are relatively simple, including waist, hips, chest, bicep, and armhole sizes (this last is interesting - the armholes often go too low on off-the-rack shirts, reducing range of motion and comfort). Their site is relatively barebones but the degree of customization is second to none. 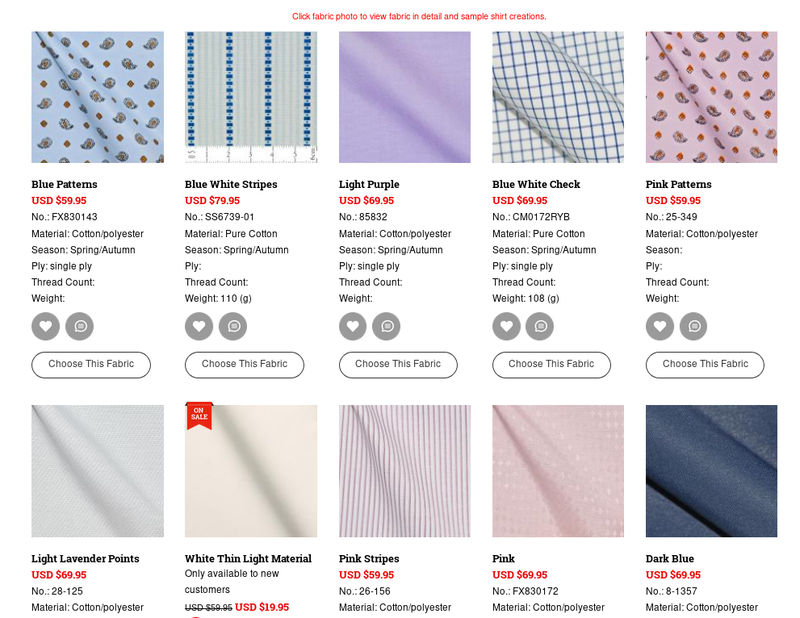 They have 724 fabrics to choose from, running from $60/shirt to over $100, and even after that stunning selection the choice of collar style, cuffs, buttons, and pockets does not disappoint. They run a $20 special for new customers (on a much smaller selection of 3 fabrics). The downside here is the shipping cost (and presumably time): Modern Tailor is located in China, so the cheapest shipping option is $12. I ordered my test shirt yesterday. Total cost ended up being $38.95 (including shipping), which is not bad assuming it's constructed reasonably and actually fits when it arrives. I'll keep you updated on how this goes. Your other options for this style of custom clothing include Proper Cloth, which is a touch more expensive than Modern Tailor at over $100/shirt usually. They are located in New York - the domestic shipping should be quicker once they have the garment made (they claim a delivery time of around two weeks). I haven't purchased from them yet, but I'll probably give them a try - $95 is still relatively affordable for a custom-fit shirt (again, assuming it's built to last). They don't offer nearly as much customization as Modern Tailor - it's limited to the sizing - and they don't have as many different fabrics to choose from. On the upside, they do offer in-person fittings, so if you're around NY you can be sure you got the best fit possible from them. There are several others, but those are the two big names. Have you tried one? Interested in giving it a shot? I'll let you know what I come up with; please let me know how your test goes.